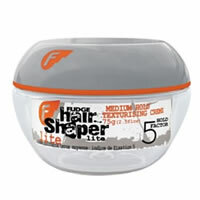 Fudge Lite Hair Shaper is a medium hold texturising cream for fine or longer hair. 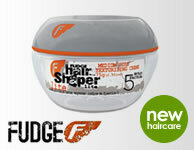 Fudge Lite Hair Shaper texturises, pieces and moulds fine hair, whilst also thickening, controling and texturising the hair through the use of carnauba organic waxes and film forming co-polymers. In addition, it contains natural clay kaolin colloidal to absorb oils and is ideal for fine or longer hair types with a fruity berry fragrance.